We are Hertfordshire's Largest Taxi Firm, Specialists in executive travel and Airport Transfers. We provide all types of Transport services from normal Taxis, Chauffeur & Courier. 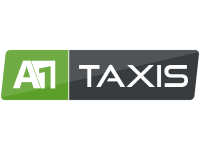 A1 Taxis has been established Since 1993 that has built up an enviable reputation over the last 20 years. We pride ourselves on our commitment to provide a professional and speedy service at all times, whilst maintaining the highest quality of work. My friends called a cab and we were quite loud (few to many) I left my phone in the back when we got out at their place . I called it when I eventually got home and the driver who was miles away by this point brought it back. Excellent customer service on this occasion and I've also released that this is the same firm I always use so I know it's not a one off. Superb and again thank you from an extremely satisfied customer. Got picked up in a Mercedes which was a change to the usual vehicles we get.